The German Patent and Trade Mark Office (DPMA) has successfully challenged a company that was sending out misleading invoices. A representative of the DPMA shared details of the case at the Anti-Scam Network meeting held in Alicante last month, at which MARQUES was represented. The DPMA discovered the fraud when a representative informed the Office that the "Deutsche Domain-Namen und Marken" (DEDM) (www.de-dm.de) and the "German Domain & Trademark Office" (GDTO) (www.gdto.de / www.gd-to.com) were offering the registration of domains and trade marks on their website. They were also using a similar logo to the DPMA, with an incorrect illustration of the Federal Eagle and the official German flag. The two websites have been added to the warning list of sites sending misleading invoices. They were subsequently put up for sale. This is not the first time the DPMA has successfully taken action against misleading invoices. In another case, individuals who were sending fake invoices for trade mark renewals were convicted. In that case, in 2009 a group of Swedish people founded a network of sham companies consisting of the Nationales Markenregister AG (based in Belize (Central America) and the Commonwealth of Dominica), the “umbrella organisation” named European Trademark Organisation S.A. and the International Payment Solutions Europe AB, which is responsible for payment transactions. These companies, together with accomplices, ran a business model based on the sending of misleading invoices in connection with trade mark renewals. In letters looking similar to invoices, they requested trade mark applicants to pay a renewal fee of €1,590, even though the renewal fee of the DPMA was only €750. The Nationales Markenregister AG had the trade marks extended at the DPMA and retained the difference between the claimed amount and the amount of the fee which paid to the DPMA. From June 2009 to November 2012, the criminal gang obtained at least €1 million at the expense of at least 800 injured parties. On the basis of numerous criminal charges, including those filed by the DPMA, the Staatsanwaltschaft München (public prosecutor’s office in Munich) started investigations. Since 2009, there have been final convictions of various accomplices during criminal proceedings, in which employees of the DPMA had also testified as witnesses. The main perpetrators were finally arrested in Riga and Stockholm at the beginning of 2018 under a European arrest warrant. One of them tried to evade immediate arrest. After their extradition to Germany, the main perpetrators were convicted of commercial and organised fraud in Munich in April 2018. They were given suspended prison sentences and fines. Read more about the Uppsala case in this Class 46 blog post. Regulation (EU) 2019/517 of the European Parliament and of the Council of 19 March 2019 on the implementation and functioning of the .eu top-level domain name and amending and repealing Regulation (EC) No 733/2002 and repealing Commission Regulation (EC) No 874/2004 has been published in the Official Journal of the European Union. The new .eu Regulation containing the key rules guiding the .eu top-level domain (TLD) has been published today in the Official Journal of the European Union. The new regulation will be applicable from 13 October 2022, except for the article 20 that introduces eligibility to EU citizens residing in third countries, which should start applying as of six months after entering into force. In the coming weeks EURid will inform all its stakeholders about the exact date when the new eligibility criteria apply. The new Regulation aims to adapt the current rules to the fast-changing domain name industry in order to strengthen the link with the growing Digital Single Market which focalises on European values like multilingualism, privacy protection, and security. EURid has also published a notice stating that the Service Concession Contract it has with the European Commission has been extended until 12 October 2022 in line with the new .eu Regulation. For more information about domain name and related issues, visit the Cyberspace Team page of the MARQUES website. This post is going to take you on a special safari. One which will take you to the District Court of Gelderland, location Arnhem (Meijer, Boks and Heemstra). On 27 March 2019 this Court decided a very interesting trade mark infringement case on the merits. Two remarkable ‘species’ were involved. On the one side the so called ‘Tijgernootjes’ (tiger nuts), a partynut produced under the auspices of Frito-Lay (using the main brand name ‘Duyvis’, well known in the Netherlands, especially for its former slogan ‘Duyvis voor als er fuif is’ - Duyvis for all festivities) and on the other side ‘Girafnootjes’ (giraf nuts), produced by Dutch based company Intersnacks B.V. According to Frito-Lay (more especially its Swiss based trading company) Intersnacks infringed Frito Lay’s trade mark rights with regard to its ‘Tijgernootjes’. Frito-Lay relied on several trade mark rights registered in the Benelux. First of all the word mark registration for ‘TIJGERNOOTJES’. Secondly, a shape mark (3D) registration, for the shape as depicted on the left top side of this post, with the following notes ‘Various shades of orange, brown and yellow’, ‘Distinctive is the characteristic diverse color pattern, as applied on the goods, using the colors’. Thirdly, a shape mark (3D) registration, with the same notes, but depicting the shape of only one ‘Tijgernootje’ (see also the left top side of this post). Fourth, a shape mark (3D) registration, with the only note that the registration relates to a shape, depicting a close(r) up of a ‘Tijgernootje’. Fifth, a figurative trade mark registration, consisting of a picture of the packaging for ‘Tijgernootjes’, with the note ‘Various shades of green, red, yellow, orange, black, white’. Sixth, a figurative trade mark registration, for a picture of one ‘Tijgernootje’ of which the ‘shell’ cracks, thus showing parts of the peanut inside. Moreover Frito-Lay was entitled to an expired patent for a technical process to produce tiger peanuts, whereby - to summarize - the core of a snack product was surrounded by two layers of a dough material, of which the one next to the core is more flexible than the (foremost) non-flexible one on the outside, which when heated has the effect that the inner dough material breaks through the outer dough material. 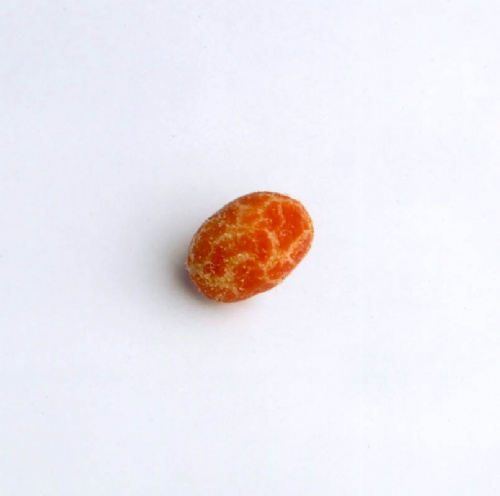 An effect described in the patent as producing so called crackled peanuts, which also produces, depending on the choice of the dough materials, a completely new taste and a pleasant bite. Since 2015 Intersnack produces and markets so called ‘Girafnootjes’ for Aldi, using the production method as described in the expired patent of Frito-Lay. Frito-Lay started proceedings on the merits for trade mark infringement and claimed - to be short - for the whole scala of trade mark infringement orders and injunctions (except apparently damages, a usual one in proceedings on the merits). Intersnack raised a variety of defenses and several counterclaims. First of all Intersnack successfully argued that the word mark ‘Tijgernootjes’ and the sign ‘Girafnootjes’ are clearly not identical and not similar in such a way that this may cause confusion and or dilution according to article 2.20 paragraph 1 under a, b and/or c BIPC (Benelux Intellectual Property Convention). The argument made by Frito-Lay that there is a high degree of conceptual similarity, because the word elements ‘Tiger’ and ‘Giraffe’ are one of kind, namely ‘exotic wild animals with yellow brown skin with camouflage pattern’ was rejected. According to the Court there is only a low degree of conceptual similarity, which is to a large extent compensated by the auditive and visual differences between ‘Tiger’ and ‘Giraffe’. Therefore the use of ‘Girafnootjes’ causes no risk of confusion with ‘Tijgernootjes’ and accordingly no unfair advantage is taken of, or detriment done to, the distinctive character or the repute of the ‘Tijgernootjes’ trade mark (whereby the Court points out that it does not comment on the question whether ‘Tijgernootjes’ is a trade mark with a repute). For the record the Court held the ‘Tijgernootjes’ trade mark valid, because it was not evidenced by Intersnack that this trade mark has become generic. However with regard to the other trade mark rights invoked by Frito-Lay - except the ‘one-peanut-without-a-note’-trade mark registration - the Court finds that these rights are valid and that Intersnack’s infringes these rights with ‘Girafnootjes’. The Court investigates first of all the graphical representation of the signs in the registrations. Do they match with the requirements which follow from the CJ EU decisions in the Sieckmann (2002) and Libertel (2003) cases? The trade mark registrations with regard to the ‘group op peanuts’ and ‘the-one-peanut-with-a-note’ are okayed by the Court. The Court first of all finds that the registrations do not concern pure color marks. Therefore it is not required that an international color code be used. Thus the trade mark registrations cannot be invalidated by Intersnacks on the basis of the Libertel decision, which decision requires the use of an international color code only for pure color trade mark registrations. But do the registrations meet up with the Siekmann requirements? The Court finds they do. That one may not directly derive from the pictures used in the registrations that they concern shape marks, is backed up by the ‘Shape Mark (3D)’ description in the notes of the registrations. That the pattern of the peanuts for which Frito-Lay seeks trade mark protection cannot be recorded in the registration, does not hinder that the characteristic elements of said pattern follow sufficiently from the pictures used in the registration. With regard to the ‘group of peanuts’-registration specifically Intersnack raised the argument that it is unclear whether it is the intention of claiming protection for something within a square frame (the space which can be used to graphically represent to sign for which trade mark protection is claimed). The Court does not follow this argument. According to the Court Intersnack did not clarify why the reasonable who uses the trade mark register will come to think that the square frame surrounding the picture is a part of the sign for which trade mark protection is claimed. Thus the Court finds that these trade mark registrations are valid and protect as a trade mark a peanut with a chequered color pattern in orange, brown and yellow shades, which follows sufficiently clear, in an easy accessible way, unambigiously and also objective and comprehensible from the registrations. The next hurdle taken by the Court is the other characteristic element now codified in article 2.2bis paragraph 1 sub e BIPC (to be short: a certain element of goods for which no trade mark protection can be obtained). Following the recent CJEU’s decision in the Textilis/Svensk (2019) case, the Court decides that this provision is not applicable with regard to trade marks registered before 1 March 2019, so that Intersnack cannot rely on this provision. But that’s not the end of the story. The Court continues its investigation of the validness of the trade mark registrations along the lines of article 2.1 lid 2 BIPC (as it read before 1 March 2019), according to which the shape of goods cannot be a trade mark if that shape results from the nature of the goods, gives a substantial value to the goods or is necessary to obtain a technical result. Are the ‘Tijgernootjes’ affected by this exception, because what the registrations intend to protect as a trade mark (the chequered appearance) is the necessary result of the production process, being the object of a patent, which has expired? Peanuts which have been produced with this technique have according to their nature a chequered appearance? Does not give this chequered appearance these peanuts a substantial value? And isn’t the shape of the ‘Tigernootjes’ and coinciding characteristics necessary to obtain a technical result? And - from a more fundamental viewpoint, also raised by Intersnacks - is it (still) justified to preserve the trade mark registrations, whilst Frito-Lay has already enjoyed patent protection, which is restricted in time? The Court answers all these questions with a no: because the registrations concern composite trade marks, bearing elements of both color and shape marks, the Court holds that the strict conditions for protection of pure color and shape mark do not apply - so to speak - to the utmost extent. Frito-Lay does not claim trade mark protection for the colors orange, brown and yellow on the specific round form of a peanut, but only the combination of these elements. And with regard to the shape - according to the Court - Frito-Lay does not claim trade mark protection for the shape as such, but only the application of a specific pattern on a specific place - for which finding the Court refers to the CJEU decision in the Louboutin (2018) case. In other words - as the Court summarizes - the shape as such is not the object of protection, but the shape serves only to demarcate what Frito-Lay intends to trade mark, namely the chequered colourpattern in the colors orange, brown and yellow. With that the Court rejects the main invalidation arguments raised by Intersnacks. 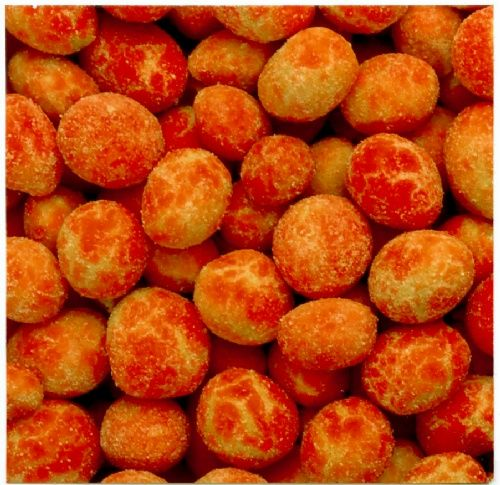 Above that the Court finds that ‘Tijgernootjes’ do not miss distinctiveness, due to the overall impression which is decisive and taking into account that the trade mark protection which Frito-Lay seeks to obtain is not for colors nor shapes per se. From there the Court rides the safari train into classic infringement territory. A comparison between the peanut species on either side leads the Court to the conclusion that the species are identical and that Intersnack infringes the trade mark rights of Frito-Lay with regard to the ‘group op peanuts’ and ‘the-one-peanut-with-a-note’ (infringement according to article 2.20 paragraph 1 sub a BIPC). The Court rejects Intersnack’s argument that each peanut produced according to the (previously) patented production technique is different, because the parties agree that the ‘Girafnootjes’ and ‘Tijgernootjes’ are produced applying the same technical process and Intersnack uses identical colors as indicated in the trade mark registrations. According to the Court the relevant public shall recognize in the ‘Girafnootjes’ the same pattern as protected by Frito-Lay for the ‘Tijgernootjes’, whilst the differences between the individual peanuts will escape the public’s attention. Although the Court did not find a trade mark infringement nor a ‘slaafse nabootsing’ (passing off) with regard to the lay out and artwork used by Intersnack on its packaging (against which Frito-Lay relied on a trade mark registration for the front of its packaging), it nevertheless concluded that there was an act of ‘slaafse nabootsing’ (passing off) of Intersnack, following from the sales of the ‘Giraffenootjes’ as such. Because the ‘Tijgernootjes’ - as the Court derived from its trade mark infringement findings - have its ‘eigen gezicht’ (specific appearance) in the market, Frito-Lay is entitled to protection against the unnecessary confusion Intersnack causes by selling ‘Girafnootjes’ which are - as the Court states - to a high extent similar to ‘Tijgernootjes’. So the safari ended with a victory to a great extent for ‘Tijgernootjes’, but because Intersnacks prevailed on certain points, the Court ruled that each party should bear its own costs of this special safari. Note that all these webinars are conducted in English and are categorised as “Advanced”. There is no webinar scheduled on 23 April. Find out more and join the webinars on the EUIPO Academy website. You can also view recorded webinars here. 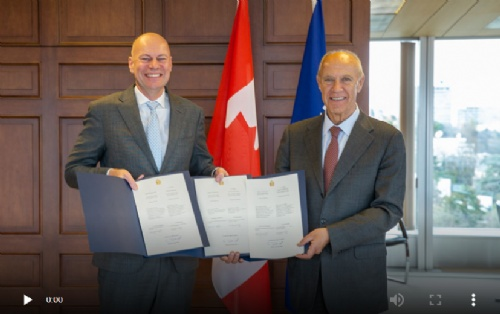 Following the formal passage of amendments to the Canadian Trademarks Act and the Trademark Regulations into law in 2014 and December 2018 respectively, Canada submitted the necessary documents with WIPO to accede to the Nice Agreement, Madrid Protocol and the Singapore Treaty on 18 March 2019. These amendments, along with significant changes to Canada’s domestic trademark laws, will come into effect on 17 June 2019. Among the welcome statutory amendments for MARQUES members, including its Canadian contingent, will be the long-awaited adoption of Nice Classes by the Canadian Trademarks Office (Canadian TMO) for both domestic and international applications. It remains to be seen whether the strict rules governing the description of goods and services implemented by the Canadian TMO will be relaxed, particularly in the case of international applications. Canada, the world’s 10th largest economy, is the last of the G8 countries to adopt the Madrid Protocol, which permits the protection of a trade mark using a single application across up to 120 countries. Together with the adoption of the Singapore Treaty, this change will provide a wider range of trade mark rights, including the recognition of non-traditional trade marks, and greater efficiencies in trade mark registration process. It has also resulted in a commitment from the Canadian TMO to enhance its offering of electronic services and communications. The MARQUES International Trade Mark Law and Practice Team is certainly looking forward to the implementation of the Madrid Protocol in Canada as it will permit brand owners outside Canada to leverage the international harmonised trade mark laws and practices of the Madrid Protocol within Canada, and the Team will be able to represent the interests and concerns of Canadian brand owners before WIPO. The Team is available as a resource to MARQUES’ Canadian members and can help in navigating the nuances of the Madrid Protocol and other WIPO treaties. The adoption of the Madrid Protocol will broaden the scope of trade mark protection in Canada in a cost-effective manner. It is a change that the Team and the members of MARQUES at large will embrace. Mediation is now mandatory for IP disputes including monetary/compensation claims, reports Selma Ünlü in a guest post for Class 46. As of 1 January 2019; mediation became mandatory for court actions related to IP law including trade marks, designs and patents and including monetary/compensation claims. Provisions related to mandatory mediation will not apply to court actions pending before first instance courts, district courts of appeal and the Court of Cassation. However; the parties may still apply to a mediator at their discretion for pending actions. If the parties cannot agree upon a mediator recorded in the registry then one party can apply to the mediation office where the competent court is located. Then mediation will be carried out by one of the registered mediators who will be appointed randomly. Mediation will be completed within six weeks of appointment of the mediator and such period can be extended by up to two weeks. The mediator will complete the process if they cannot reach the parties; if the sessions cannot be held due to the non-participation of the parties; and whether or not the parties come to an agreement. In that case, the mediator shall prepare the final minutes and inform the mediation office. The Law also sets forth some sanctions for parties who do not attend to the first session without a valid excuse related to litigation expenses and attorney’s fees. Since mediation is a clause for the court action, it will be ex-officio taken into account by the Court. It is compulsory for the plaintiff to add the final minutes to its petition. If the plaintiff files the action without applying to the mediator then the action will be rejected on procedural grounds. If the plaintiff does not submit the final minutes when filing the action then the Court will grant them one week to submit the final minutes. If they do not do so, the action will also be rejected on procedural grounds. If the parties come to an agreement, the final minutes are regarded as having the same effect as a court decision and can be enforced accordingly. In preliminary injunction (PI) requests, mediation is not mandatory. If a PI is granted before the action (ex-parte), the main action shall be filed within two weeks of the party’s request for the enforcement of the PI decision. This period will not run between the dates of the application to the mediation office until the issuance of the final minutes. If the PI is requested within the main action and the main action involves a monetary/compensation claim, then the plaintiff shall still start the mediation process before commencing the action. Especially for urgent matters; the IP right owner may consider requesting the PI separate from and before the main action (ex-parte) if a monetary/compensation claim will be included in the main action. Since certain and short time limits are regulated for the mediation process, it will not cause a serious delay to the relevant court actions. However, since (i) the period provided for the mediation is relatively short and (ii) most IP-related disputes require expertise and it is unlikely that the randomly appointed mediator will be an expert in them, mandatory mediation seems likely to remain as a procedure to be followed rather than a useful tool to reach an amicable solution. As the legislation’s aim seems to be to extend the mandatory mediation to a broader range of areas of law, it is possible that mediation will become mandatory in other types of IP-related disputes. By Selma Ünlü, Senior Partner of NSN Law Firm in Turkey. Selma is a member of the MARQUES Unfair Competition Team. MARQUES members are invited to respond to the “Questionnaire on detentions of counterfeit packaging 2018” carried out by EUIPO on behalf of the Customs Cooperation Working Party. The questionnaire is available until 1 April. EUIPO has noted that a number of previously completed questionnaires were not properly submitted. It is essential to click the “Submit” button once you have finished completing the questionnaire (see picture right). If you wish to pause and complete the questionnaire later, you can click on the “Resume later” button, and follow the instructions that appear. If you have previously completed the questionnaire, but are not sure if it was correctly submitted, EUIPO invites you to complete it again.